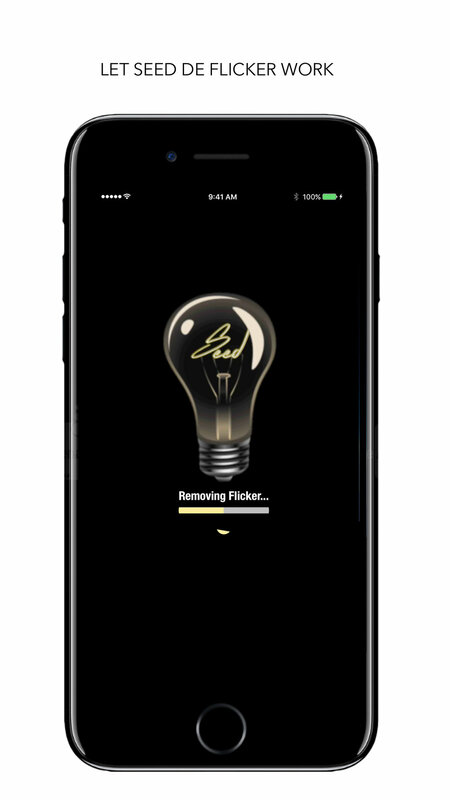 Seed De Flicker removes artificial light flicker from iPhone Slow Motion video. Don't let that amazing shot you just got in slowmotion look like poo! Throw Seed De Flicker on that thing and share a beautiful Flicker Free video right from your iPhone!